Bionic eye is a very small photo-sensitive device that is implanted into the retinal or the visual cortex of the brain , able to converse light to electrical impulses that stimulate retina and optic neural pathway to create a preliminary image to patients who had completely lost their vision , so that they can have some sense about the environment and live without the help of anybody. 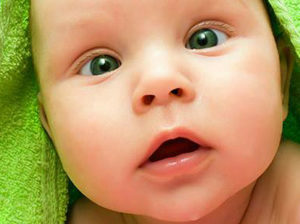 Strabismus ( or Squint) is the case where both eyes are not focusing on the same object at the same time. So, both eyes are not in a straight position. Femtolasik is a simple and short intervention that utilizes supreme technology by which the oparation can be performed in a very sensitive , safe and precise way . There are so many advantages of the femtolasik. Cataract is deformation of the transparency of the original crystalline lens of the eye In normal condition crystalline lens should be transparent to be able to transmit the light through the eye after being refracted to be focused on the retina . How can I be sure that my eyes are proper to laser operation? To be sure that eye is proper to laser operation there should be 2 factors: The first is the glasses number of the eye should be suitable (myopia between -1.0 to –10.0 , hyperopia +1.0 to +5.0 , and astigmatism+/-1.0 to +/- 5.0). The second factor is the structure of the eye -especially cornea – should be proper, regarding topography, shape and thickness of the cornea, without having any eye disease that may effect laser outcome, like cataract, glaucoma and retinal diseases. So.. a detail test including corneal topography and thickness (pentacam test) should be performed before laser operation. Would the refractive problem come once again after laser operation? To decrease the possibility of the regression of the refractive problem after laser operation to the minimal level , we should prefer to perform the latest laser technology which is Intralasik (Femtolasik). In cases of hyperopia and astigmatism the possibility of some regression is higher after lasik. Whereas if we perform Femtolasik, possibility of regression is almost absent. Can we use general anesthesia for laser operation? Patient will not need any kind of general or local anesthesia. Drops are enough for complete anesthesia of the eye so that patient will not have any pain . Anyhow, the operation will not last for more than 10 minutes. Are there complications or side effects of laser operation? If the eye’s refractive number, and structure are suitable, and if we execute the latest Femtolasik laser technology, the side effect possibility will be less than 1/1000 . So tests before laser operation are very important. Would the laser patient be able to have any eye operation in the future if he needs, like caratact or any other operation? All laser operations of all techniques are not handicap for any future eye operation, like cataract (that mostly occurs elderly) , glaucoma or even retinal surgeries . What is the difference between laser, lasik and femtolasik (Intralasik )? Actually, what most people call excimer laser (not lasik of femtolasik) is the PRK laser operation, in which laser is applied superficially onto the cornea without lifting a corneal layer (flap). But this will create some pain and bothering that may last for 3 days. This is the oldest laser technique and it is mostly now not preferred because of the pain and the haze that may be created. 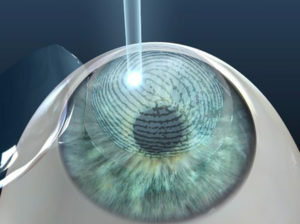 To get rid of such problems, lasik and Intralasik techniques had been developed, in which a corneal flap is lifted up and then laser rays are applied beneath it. So, patient can return to normal life directly in the next day. In lasik operation the corneal flap is lifted up by a special knife which is inserted inside a machine called microkeratome. However, in femtolasik the corneal flap is lifted up by the femto laser which can control very precisely the thickness and shape of the lifted corneal flap. That’s why femtolasik is more precise, safer and much better than lasik. Do we put anything inside the eye during laser operation? 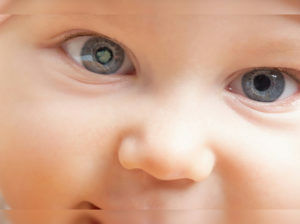 In lasik and femtolasik operations nothing is put inside the eye during the opertation. 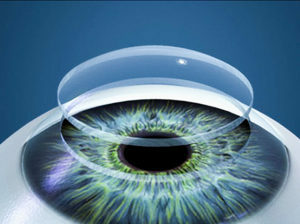 However, in PRK operation a contact lens is put to protect the eye and decrease the pain for 3-4 days.